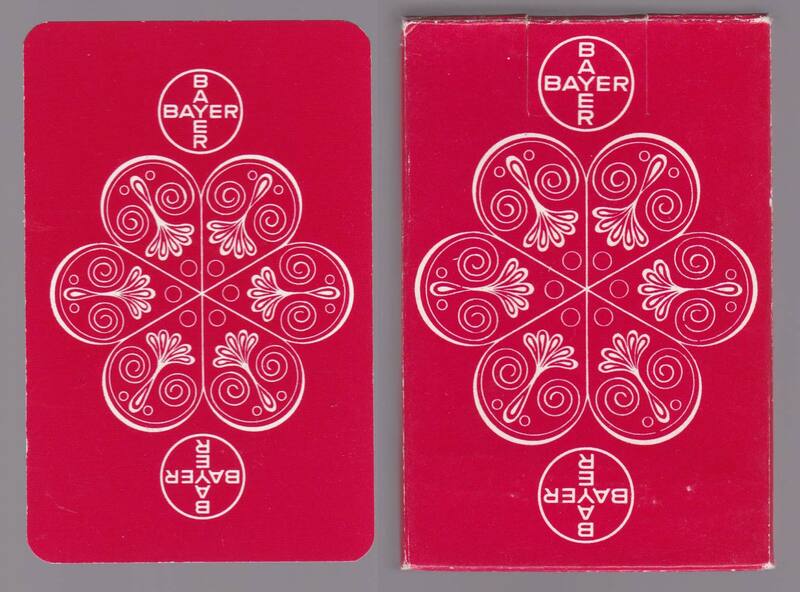 Above: humorous pharmaceutical deck made by Antoine van Genechten for Bayer, c.1963. 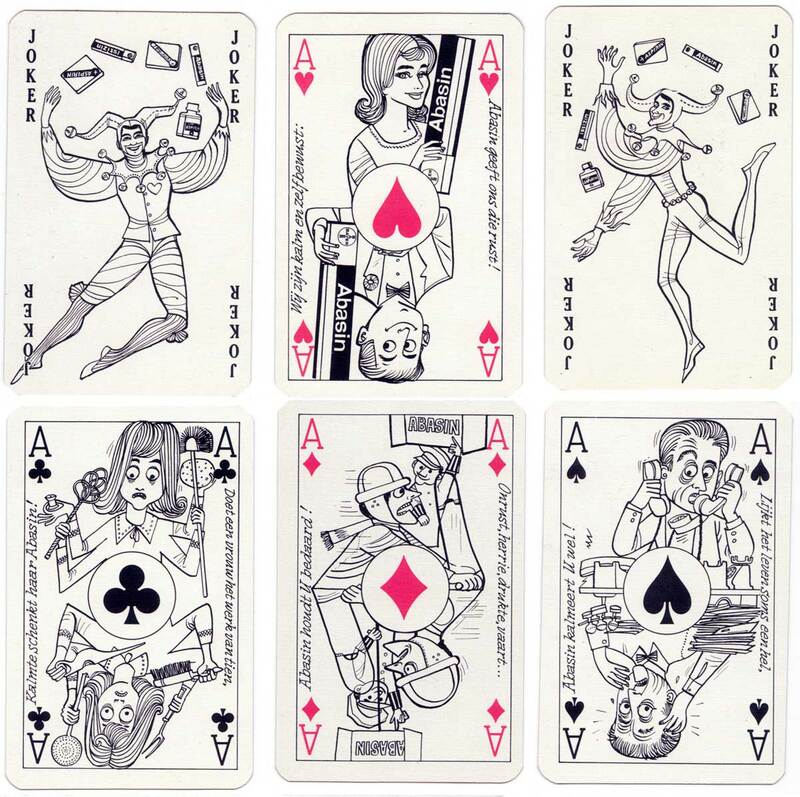 52 cards + 2 jokers. Images courtesy rex Pitts.